There were times when men were men. There were times when Americans were courageous. In 2008 when then Senator Clinton under pressure to drop out of the Democratic Party primary for then Senator Obama, she made allusion to the 1968 assassination of RFK after the California primary as the reason why she would not suspend her campaign. Implying that same fate that befell RFK in 68 could possibly befell Obama in 08. Hence her desire to stay on in the race even though the delegate math at that point belies her chances of becoming the nominee. At a time when the country was so divided across economic and racial lines and needed a unifier, her comment was so counterproductive to the needs of the time. And Keith Olbermann, a man of courage, dressed her down. Watch the clip below for yourself. Since the election of President Obama, the indiscriminate killing of African Americans has become a national norm. And the media, monopolized by white folks who cannot relate to the challenges of being black in America, always react the same way. Treat every other murder of an African American by cops as a statistic and move on with their lives. And elder statesmen? There are no more elder-statesmen in America who can speak to the moral rectitude of the country. Being black in America, General Colin Powell chooses his words and can’t speak as candidly as he would to white America even though he commands their respect to a certain degree. He knows his place. Senator John McCain in his “hallowed wisdom” said that President Obama is directly responsible for Orlando. That’s how sensible the once-celebrated maverick has become. Rudy Giuliani? Well, Rudy Giuliani is more of a whiz kid of civility and fairness who in defiance to reason have turned into a demented old guy and doesn’t inhabit the realm of reality anymore. And Keith Olbermann? His candor is too much for the powers that be. Hence it has become too difficult for him to keep a job at any mainstream media house. As Edmund Burke postulated, Dallas happened. Dallas happened because the only thing necessary for the triumph of evil is for good men to do nothing. Obviously there are no good men left in positions of power to do something to alter the god complex and brutish attitude of the police, especially in their encounters with African Americans. So nothing got done from one murder to the other until Alton Sterling and then Philando Castile. And consequently evil triumphed in Dallas. I used to watch Morning Joe on MSNBC because I thought the show was substantive and because I thought Joe Scarborough, the anchor of the show, has being washed in the Blood of the Lamb. Until I saw the real him. I saw Joe pay lip service to the murder of Michael Brown and quickly brushed off the subject and moved on to ‘real news.’ “You know, Donny, I’ve said repeatedly on this show that there are two justice system in America. One for whites and one for blacks.” That’s it. Then came the day after the day players of the St Louis Rams in solidarity with their African American brethren raised their hands in the “my hands are up, don’t shoot” sign. As they were running into the field of play. That was the day I saw the real Joe Scarborough. With a red face, he was outraged at the players and chided them on national television for doing the “my hands are up, don’t shoot me” sign. He was so livid and looked like he wanted to punch someone on the face. Then he let loose on the murdered Michael Brown. He tried the child and convicted him on national television. A child that was murdered. Typical. So on that day, I saw the real Joe and I saw his outrage. Which was very genuine and even more animated than that displayed by Keith Olbermann in 2008. But unlike that of Keith, the outrage was misdirected. I wished and still wish his outrage was directed at the plague ravaging this country. Maybe some cops would have listened. Maybe Baton Rouge and Minnesota wouldn’t have happened. Morning Joe. The assassination of five policemen in Dallas was wrong. Those men were out to do their job and had absolutely nothing to do with the executions at both Baton Rouge and Minnesota. But as a human being, I can understand the anger of the assailant. At what point will white people who run America put a stop to this indiscriminate killing of African Americans? Because they can. How dare you give a paid leave to murderers? If that is not a pat on the back for killing an innocent man, what is? For all the police killing of African Americans in this country, how many of these police officers have being prosecuted, let alone convicted of their crimes? As a nation, we cannot continue to kill a people and expect them to just keep quiet and take it. Everyone have their elastic limit. Someone will eventually snap as we did witness in Dallas. And why is it somehow cool to some people that African Americans shut up their mouth and say nothing as their own is being slayed like flies everyday on American streets? I have written repeatedly on race relations in America and how an honest and responsible conversation on it can engender national unity and progress. I will continue to talk and write about it until the America I see from the inside begins to look like the America that I saw before I came; until the America I see from the inside begins to look like the America that is projected to the outside world. President Bush in his address yesterday at the memorial service in Dallas said something to the effect that we too often judge other groups by their worst examples, while judging ourselves by our best intentions. And he admonished Americans to start doing less of that. And focus more on the values that unite us. We should listen to his wisdom. He is a good man. And so should every good man henceforth find a way to speak up against injustice wherever and whenever it unfurls, irrespective of who the victim is, irrespective of who the victimizer is. There can be no peace without justice. I came to America not only because I believe in America’s promise. I also believe that the glory days of this exceptional nation still lie ahead. We can only reach our Canaan as one united indivisible nation, under God. Not as a divided nation; for a divided house cannot stand. 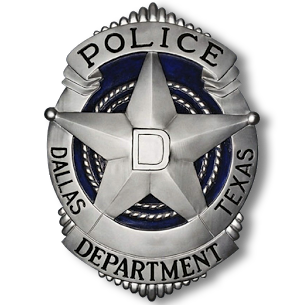 The Dallas police has shown the country the right way to protect and serve the public. It is so remarkable that under attack, they didn’t use it as a guise to terrorize the ones they are supposed to protect, rather at the height of the assault on them, they still stayed cool-headed, professional, and focused on their job of protecting the public. They did their job. They didn’t lament that someone in the crowd scared them with their gun, and in fear for their lives, murdered them. Even when there were enough open carry guns among protesters to warrant such fear. They didn’t just usher white folks to safety and abandoned African Americans. They put their lives on line and ushered EVERYONE to safety away from the flying bullets. They were more of peace officers as the police were originally conceived rather than a police force as we see in contemporary times. They are true Americans and professionals to the core and we salute their courage and professionalism. Good job, Dallas PD. America and all men of good intents are proud of you. Good job. May God continue to comfort those families who have lost loved ones to police violence and the family of the five fallen heroes. May God continue to bless Dallas and its people. May God continue to bless the United States of America.